Aside: On Monday 11th Leslie and I visited to 'Velorama', the National Fietmuseum (bicyle museum), Nijmagen, Niederlands. No riding but a brilliant museum. Report to come. Wim van Est's 1951 Tour de France bike - the one he rode off the edge of a mountain! 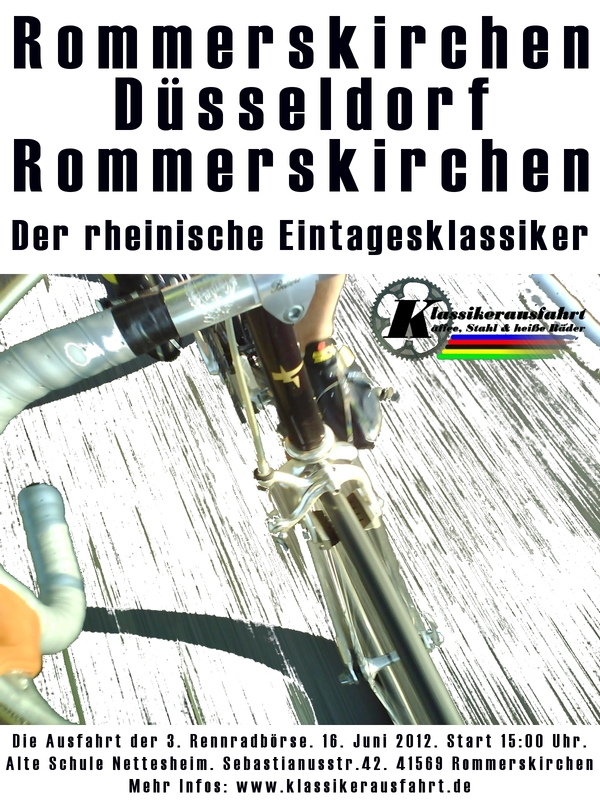 Sunday 3rd: Klassikerausfahrt, Dusseldorf: A retro bike ride... The Faggin rides again! Details to come. Saturday 30th: illness has led to my withdrawal from this event as I will never be fit in time. I can't recommend www.go4cycling enough though - if you can, why not join them (there's at least one place going!) 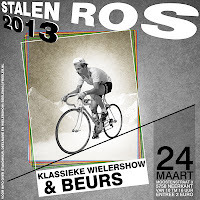 Flanders Weekend; the amateur Ronde van Vlaanderen (100 mile +) with the excellent www.go4cycling.com team. 20 000 cyclists... got to ride at the front! Oude Kwaremont, Paterberg, Koppenberg (steep and cobbled), Steenbeekdries, Taaienberg, Leberg, Berendries, Valkenberg, Eikenmolen, the Wall from Geraardsbergen and Bosberg. Will Johann Museeuw be able to stop giggling at my efforts? Will Nico, Bart, Patrick and Peter wait for me to finish.. hours after the rest? Is this living the dream? Report to follow. Bike: Serotta Otrott SE. Sunday 7th: Klassikerausfahrt, D'dorf. details to follow (~80 km +) Bike: Faggin 81. Sunday 14th: Deutsche Post Bonn Half Marathon, Bonn. Bike, er, none, I think I'll use the Newton Gravity shoes & Action Medical Research vest (Danke, Oly). Sunday 12th: Rund um Koeln. 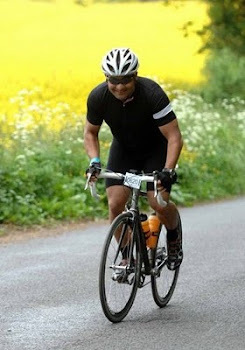 A lumpy 120 km + club run with plenty of photo opportunities for when the pro's fly past.... if they can... Grrr! OK, I'm sorry, I'll stop this now! Saturday 18 - Sunday 19th: RSC '77 Bimbach Rhön-Radmarathon 205 km (Sunday, 5000 riders). Shorter 160 km ride on the Saturday. The climb is the very place gliding was first demonstrated! 238 km with 4500 m of vertical ascent. Sunday 2nd: Klassikerausfahrt, D'dorf. Detail to follow. Bike: Faggin '81. Sunday 7th: Klassikerausfahrt, D'dorf. details to follow. Saturday 10th: "Täler und Höhen", 155 km, RTV Lohmar 83 e.V. Practically on my doorstep so I can ride to and from the start/finish area. One of my favourite rides, despite the racing speeds that most riders fly around at! Sunday 1st: Klassikerausfahrt, Dusseldorf. Details to follow. Friday 4th - Sunday 6th: l'eroica, Tuscany, Italy. Bike: Faggin '81. IF... I can find a flight back to Koeln on Sunday evening? No doubt more rides, especially the excellent Deutsche RTF and CTF events, will appear.